TARANGO (A Women’s Development Organization) is a non-profit, national level, voluntary development organization. TARANGO is one of the prominent social businesses that has introduced the fair trade approaches to the labor market in Bangladesh. Since its inception in 1989, the main vision of the organization is to bring women’s empowerment in Bangladeshi society. TARANGO has work experience in different fields of development including Women economic empowerment, Fair trade Handicrafts business, Donor funded Project implementation, Alternative business opportunities studies and Market research, Training Module & Materials Development, Small & Micro Enterprise development and capacity building of facilitators. TARANGO’s Business Model has been worked well even beyond Bangladesh in different NGOs in Nepal, Afghanistan and Pakistan. Establishment of a just and poverty-free society through women’s empowerment. Our working areas are Dinajpur, Borisal, Gopalgonj, Faridpur, Gazipur, Tangail, Cox’s Bazar, Bandarban, Lalmonirhat, and Dhaka districts. There are 27(Twenty-seven) members including-social workers, teachers, businessman etc in the General Body and out of those, 9 (nine) members are acting as an Executive Committee for policy making decision. Since its inception of TARANGO in 1989, it is promoting the women’s status in Bangladesh to improve their socio-economic condition and to lead them to a rightful role in the development of the country through its various programs like- Handicrafts, Women Entrepreneurship Development, Village Savings & Loan Association, Savings & Micro Finance and initiate different development projects on Women Economic Empowerment. The Handicraft program is a Fair Trade initiative of TARANGO started in 1989. The function of handicrafts program is to improve the socio economic condition of marginalized women in order to make their products more marketable both in the local and international market. These women are supported in a four-layer approach: training, supplies of raw materials, marketing and guidance into self-directed action. 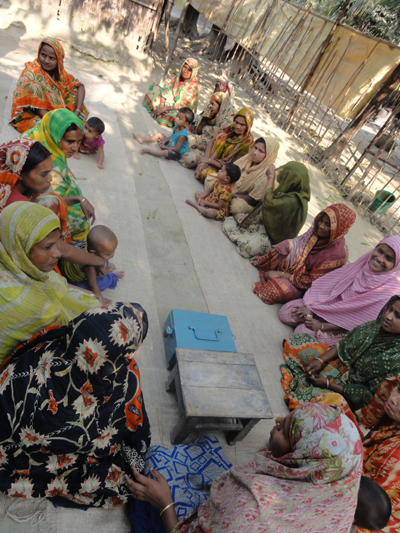 TARANGO’s service coverage extends to more than 18,000 women in the districts of Dhaka, Borisal, Dinajpur, Gopalgonj, Faridpur, Tangail, and Lalmonirhat. Many of our fabric products are made from jute. This is an eco-friendly, biodegradable and annually replenishable cash crop. It is called the 'Golden Fibre' and is a plant that yields a yarn which was traditionally used for sacking and cordage and carpet backing materials. The jute products of TARANGO are made from braided jute using handlooms and waist looms. The products include baskets, bags, mats, folders, plant pot holders, hammocks, cushions, festive decorations etc. Other fabric products are made from tasteful, traditional textiles from the Hill Tract region of Bangladesh. The material is usually woven on waist looms and used to make a variety of clothing, wall hangings, table cloths, coasters and bags for use ranging from shopping to the beach. Clay products are also very popular and include ornaments, vases, burners for aroma therapy and items used during special festivities, and coconut shell is used for jewelry, buttons and decorative items. Leaf, grass and palm are used to make many kinds of baskets, bags and greeting cards, and re-cycled cement bags and billboard paper is used to make shoulder bags, laptop bags, sports bags, boxes and trays. TARANGO has introduced micro finance to its producers’ groups with an aim to support them with easy credits to carry out such schemes. 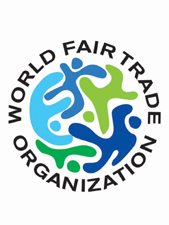 TARANGO works closely with several Fair-Trade organizations in Europe and able to establish a potential export market for its handcrafts products in Germany, Denmark, Italy, Spain, UK, USA, Australia, Japan, France, Korea, Belgium China, Netherland, Finland, Greenland and Singapore. The WEDP (Women Entrepreneurship Development Program), which started in 1997, aims at building the competency among rural disadvantaged women in starting and managing their own small business to earn additional income. In cooperation with GIZ, Dhaka TARANGO has developed an Entrepreneurship Development Program for semi & non-literate is based on the CEFE (Competency Based Economies Through Formation of Enterprises) approach and is highly adapted and tailored to the Bangladesh environment. Jute diversified product-2007-08 by JDPC (Jute Diversification Promotion Corporation), Ministry of Jute & Textiles. Further expansion of Handicraft Market in home and abroad. Initiate different projects for Livelihood Development and Economic Empowerment. Explore VSL approach for won managed Savings and Loan Associations. TARANGO has been working with other development organizations at home and abroad, such as, GiZ, CARE Afghanistan, IRC Afghanistan, MARCY Crops Afghanistan, ILO Dhaka, CDMP/UNDP, CLP/DFID Dhaka, UKaid, CONCERN-Bangladesh, Winrock, AIDA-SPAIN, AECID SPAIN and TRAIDCRAFT Exchange Bangladesh.